Moxie can be defined as “a force of determination, character, or nerve”. And moxie is something that our November business of the month, Original Moxie, demonstrates. 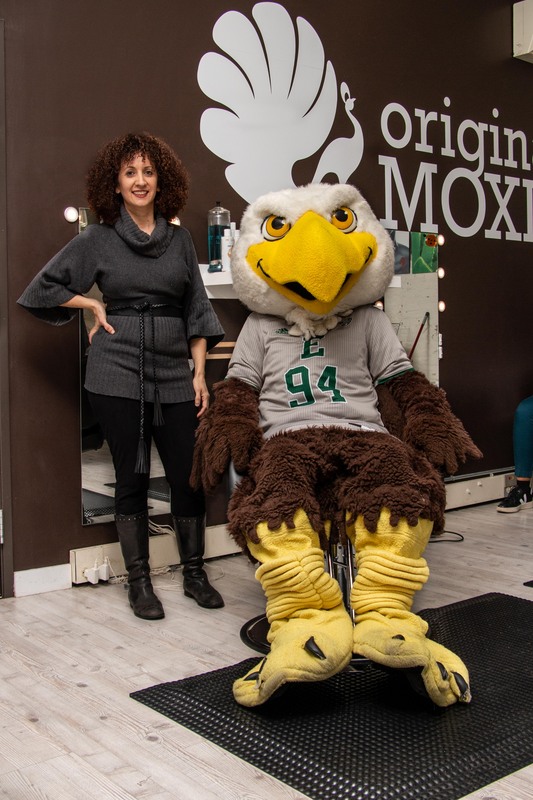 Founded by Rachel Blistein, Original Moxie is a salon that is dedicated to making and creating hair products that work for everyone. But what sets them apart from other salons, isn’t just the talented people who make up Original Moxie- it’s their line of environmentally friendly hair products that have been crafted for all types of hair. Rachel started creating her incredible line of products because of her own experiences with finding expensive products, and products that stopped working after a few applications. After finding the right recipe, Rachel shared her products with her friends and family, who shared it with their friends and family. It wasn’t long before she was selling her products to people she didn’t know! Original Moxie has a unique process to find which products work best for your hair. Using their 3-D system, they determine your hair’s density, curl, and dryness. From there, they can recommend the best product to make your mane stand out. Their large variety of products range from shampoos, conditioners, treatments that help moisturize, protect, and de-frizz hair. Additionally, they sell items such as head wraps, spray bottles, and gift sets. If you are interested in learning more about Original Moxie and their awesome line of products, please visit their website at www.originalmoxie.com. Hi! My name is Heather Pruitt and I am a senior studying Public Relations with a minor in LEADership at Eastern Michigan University. I am a member of PRSSA and am the Director of Philanthropy for the collegiate chapter of Alpha Sigma Tau – Alpha Chapter. In my free time, I love to write music, spend time with my friends, and hang out with my cat.